When God was about to deliver the Israelites out of Egypt, the last event that displayed His power is now remembered as the Passover. It was the night that anyone who followed God’s command to sacrifice a perfect lamb and apply the lamb’s blood to the doorposts of their house was spared His judgment. In other words, His judgment passed over that house. How did an Israelite family know that God’s judgment had passed over them? Quite simply, their firstborn child was still alive the next morning. Jesus described Himself as not only the sacrificial Lamb and the saving Blood, but He also said, “I am the Door.” When we place our faith in what Jesus did for us on the Cross, His blood is applied to our heart, we enter in His door and we are safe from God’s judgment. But how do we know that God’s judgment has passed over us? Are there any visible signs? The Apostle Paul talked about his inner turmoil when he tried to live a life he could control (note the prevalence of me, I, and my, and the absence of any mention of Jesus in Romans 7:14-24). His bottom line conclusion—O what a wretched man I am! Who will rescue me from this body of death? How? By the Holy Spirit’s inner witness in his heart (see Romans 8). 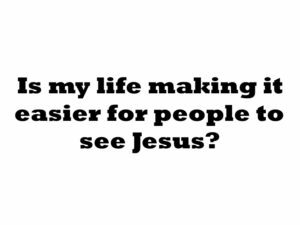 With this inner witness, a new lifestyle (the outward evidence) begins to show, as Paul begins to live a brand new life. This brand new life on the inside shows on the outside. Paul says it’s a life full of love, joy, peace, patience, kindness, goodness, faithfulness, gentleness and self-control. The inner witness of the Holy Spirit assures me of God’s love ➞ I want to live a life that pleases Him ➞ the Holy Spirit internally approves or corrects my outward lifestyle ➞ I continue to live outwardly in a way that is showing more fruitfulness …. and on and on and on it goes. If you are a Christian, do you have that inner assurance? 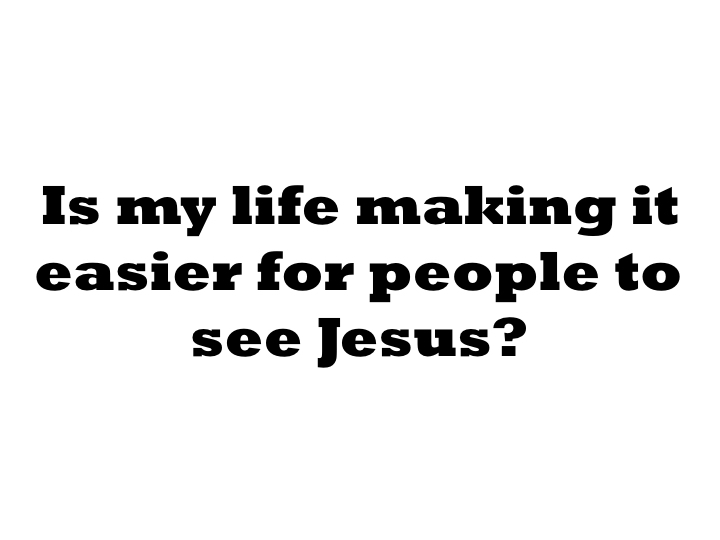 If you do, are you acting on it outwardly so that people can see the difference Jesus has made in your life? Previous Article: Who Can Bridge The Gap Between God And Man? Copyright © 2019 Calvary Assembly of God. All rights reserved.